History: August 1, 1939, when the All-Union Agricultural Exhibition (VSKhV) was solemnly inaugurated may be considered the birthday of the �main exhibition of the nation�. Work of VSKhV was interrupted by WWII and was not resumed until August 1, 1954. The nation needed 13 long years to recover losses caused by the war. For our first trip to Russia my wife and I (in our 60s) wanted the services of a reliable and informative Moscow guide for 3 days. We found Arthur on the internet and made the usual enquiries. His email responses were lightning fast, his english as good as ours and his rates competitive. We signed up with him and he fully delivered on everything that he promised. 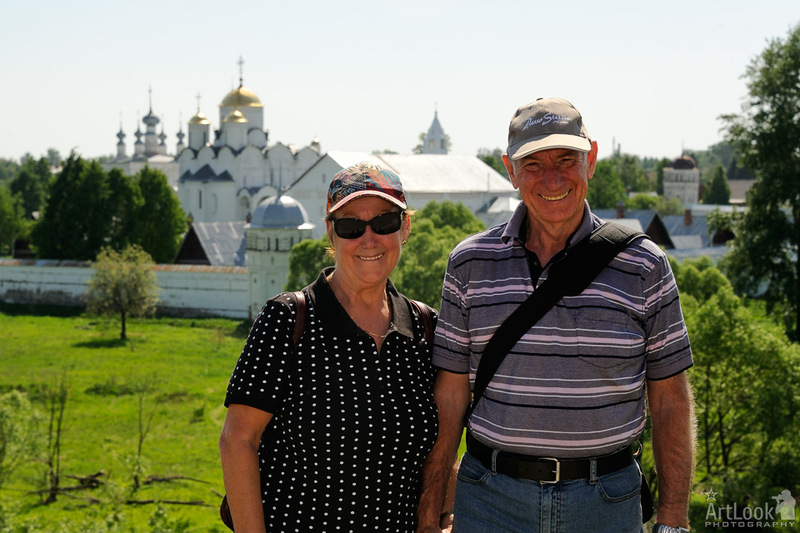 He met us at Moscow Station and we spent 3 full days sightseeing with him - 2 days in Moscow plus a one day trip to Vladimir and Suzdal, and a very memorable night lights tour of Moscow as well. Arthur is the complete guiding professional. He is extremely knowledgable of Russian history, efficient, courteous, honest, friendly (with a great sense of humour) and is also a great photographer which adds greatly to the photo memories that you want to capture. We had no knowledge of Arthur before finding him on the internet but he is easily the best guide we have ever experienced in our numerous travels abroad. We have no hesitation in recommending him.